Youth Invasion at The Andy Warhol Museum. Photo by Sean Carroll. You did it! You survived another Pittsburgh winter. Get yourself and your kids out of the house and celebrate spring at these family-friendly events. The kids are alright, and they’re taking over The Andy Warhol Museum on Pittsburgh’s North Side. 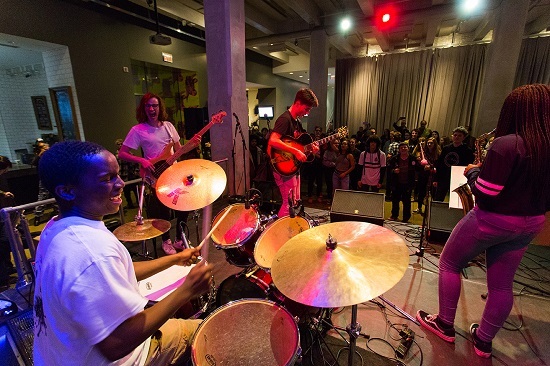 Youth Invasion gives young performers a platform to express their take on the artist’s work while filling the museum’s lobby, theater and galleries with their own forms of creative expression. Hear live bands on April 5 from 5 to 10 p.m. and see an exhibition of youth artwork from April 5-20. 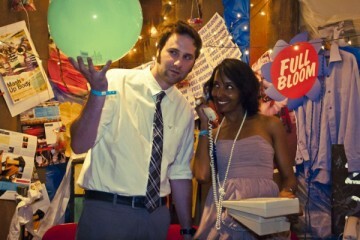 Photo courtesy of the Kelly Strayhorn Theater. 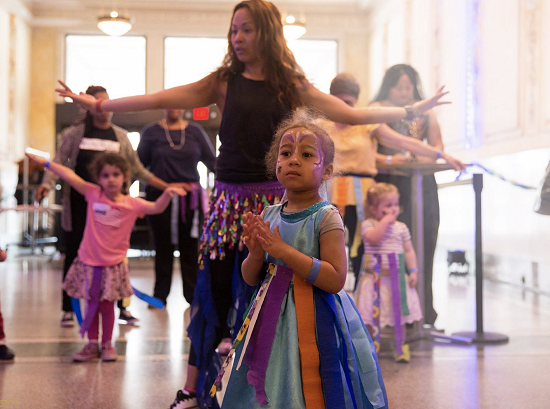 Shake off the winter doldrums at the Kelly Strayhorn Theater’s family dance party. From 11 a.m. to 1 p.m., toddlers and their parents can enjoy kid-friendly tunes spun by DJ Keygen Bryant, along with interactive performances, games, snacks, hands-on activities and workshops. Admission is pay-what-you-can, payable in advance online or at the door. Photo courtesy of Lovebug Therapeutic Horses. While horseplay is typically frowned upon in the stacks, the staff at Robinson Township Library are making an exception for Jiminy Cricket. 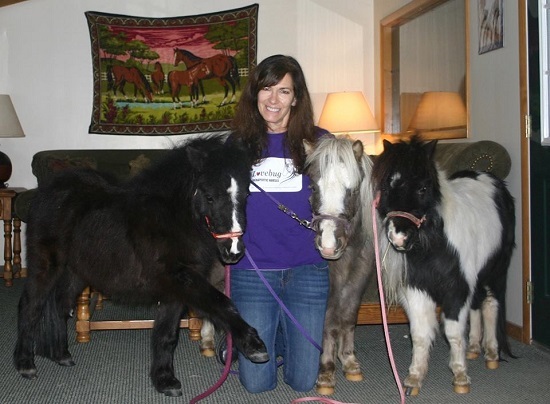 The miniature horse — who stands about three feet tall — will visit the facility from 6 to 7 p.m., giving kids a chance to pet the pint-sized animal and learn grooming techniques and other information from owner Lisa Dapprich, who runs Lovebug Therapeutic Horses. Gear up for Easter by watching “Hop” under the stars at Hartwood Acres Park. The animated film about the season’s most famous bunny (featuring the voice of Russell Brand) will start around 7 p.m. Bring a blanket and a chair and snuggle up for an evening of activities and free outdoor entertainment. Allegheny County Parks will host additional screenings at Deer Lakes Park on April 19 and Harrison Hills Park on April 26. Photo courtesy of The Wheel Mill. 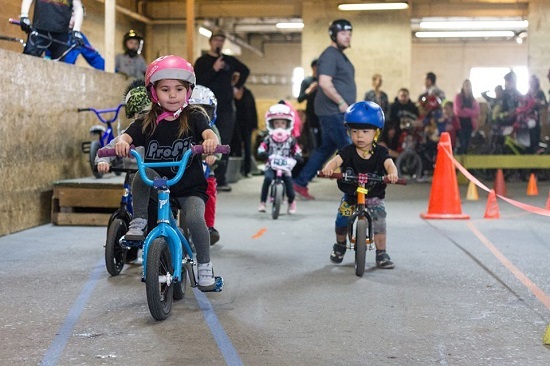 Ditch the training wheels and get your kids rolling on two wheels at the Next Generation Jam at The Wheel Mill indoor bike park. Now in its sixth year, the event is for riders 18 and younger who want to learn or brush up on fundamental skills, participate in contests to show off their best skids and jumps and meet biking pros such as Vinny Mannino, Ricky Hofmann and Dom Simoncini. Steer & Wheel food truck will be on hand serving up eats, and an ice cream social will cap off the day. Photo courtesy of the National Aviary. The folks at the National Aviary know a thing or two about eggs. During the Eggstravaganza, which runs from 11 a.m. to 3 p.m. each weekend in mid-April, guests can enjoy an Easter Bunny parade, a bird-themed egg hunt with an educational twist, story times and live appearances by some of the facility’s feathered residents. The celebration is included with regular admission.